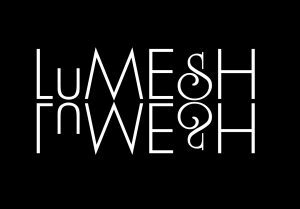 In a world where, up until recently, beauty has been seen as one dimensional, LuMesh has been championing inclusivity of all races, skin tones, and complexions from the beginning. Brand founder, Lu Camarena Meshulam is a veteran of the prestige beauty world, and has worked with illustrious names including Chanel and Frederic Fekkai. She formed her passion for the beauty industry early in life, and set her sights on becoming a makeup artist. However, as she progressed in her career, she noticed a common thread among makeup brands- not every woman, including herself, was represented. LuMesh products are unique in that they are formulated with a chemist, and get the affirming seal from science. 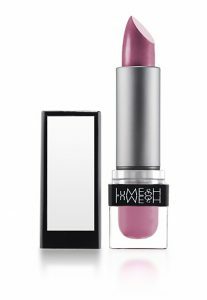 Each lip color is designed to stimulate and highlight individual undertones. Thus creating a shade that is as unique as the audience the brand represents. 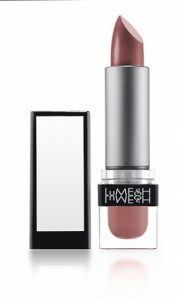 Have you ever wanted to try new a shade, but hesitate to purchase because you never thought it could work for you? Rest assured LuMesh is your best bet:“If you like pink, and have never been able to wear it, ours are for you.”, says Lu and her product development team. The brands top sellers are the warm neutral, Taffi, and the light and fresh Min. Lu herself always keeps Donna close by for its hydrating properties and sheer color. A true renaissance woman with a passion to bring education and quality to a chic and clean luxury brand, Lu knows you need so much more than a great product to be successful. Through many trials and tribulations, Lu has remained a one woman show, taking all of the ups and downs in stride. She continues to create science-backed products, and has been working diligently to expand her line to include a revolutionary complexion product in the near future. Keeping the everyday woman in mind, the line is not designed to overwhelm or complicate a simplistic routine- but rather, create go-to staples that set you up for success, and get you out the door looking your best. Lu echoes “You have to see the beauty in yourself to shine,” and aims to accentuate the beauty of individuality, not cover it up. From the website being bilingual, to lip colors doubling as blendable cheek colors, to the ability of every shade being suitable for every skin tone- inclusion of a wider demographic is key. After ten years, integrity and education remain the fueling forces behind the brand, and the goal of “bringing order to the complexity of beauty” remains a constant.